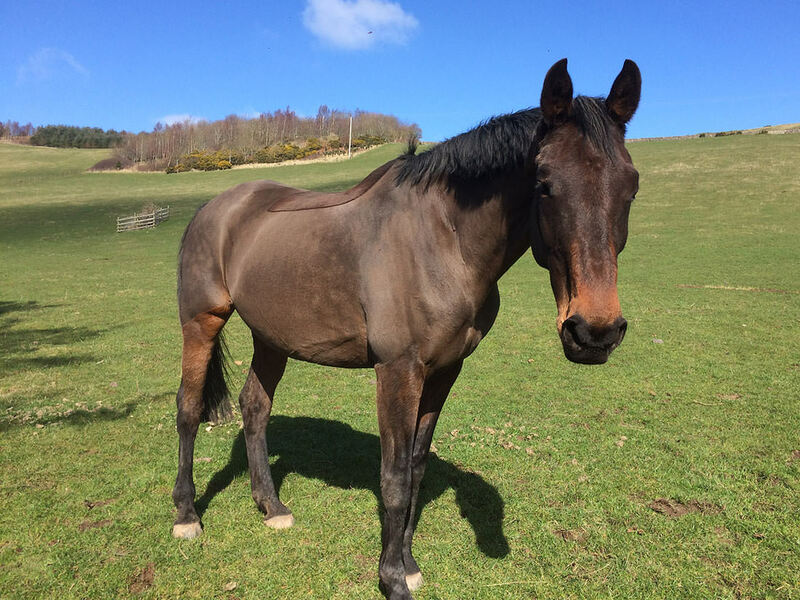 “WOW, This has exceeded all our expectations; stunning cottage with everything up-to-spec, beautiful views, warm welcome, cosy and clean stables, but best of all is the MOST AWESOME cross country course. Horses and dogs need holidays too so why not bring them with you! 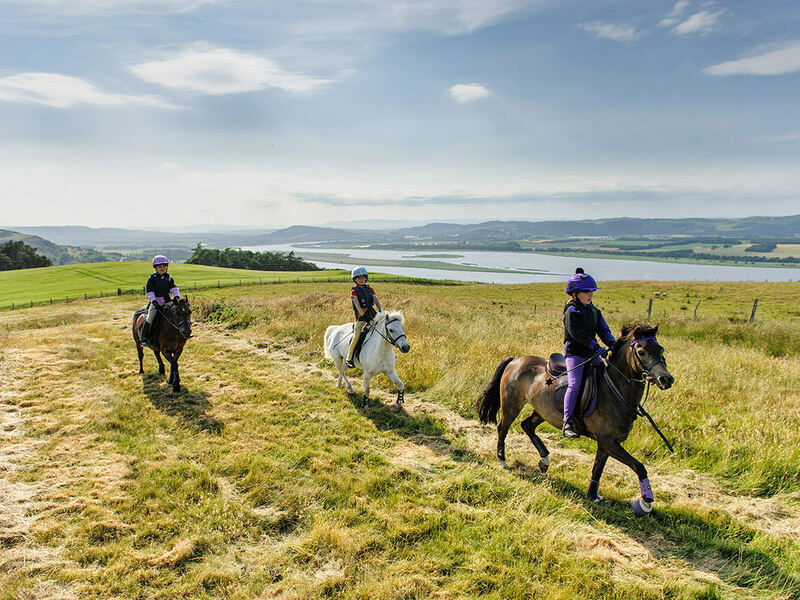 Lindores horse holidays offer 5-star self catering accomodation for friends and family seeking a relaxing rural retreat. Architecturally designed accommodation with you in mind the luxury home from home sleep most group sizes. 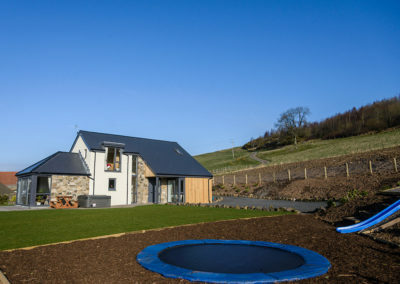 Lindores Lodge (sleeps 6+2), The Glasshouse (sleeps 4+2) and The Arches (Sleeps 2). Every bedroom can be set up as superking or a twin room to suit you plus every bedroom has a clean and contemporary bathroom. All our properties have been designed for open plan living with enclosed gardens and private hot tubs. 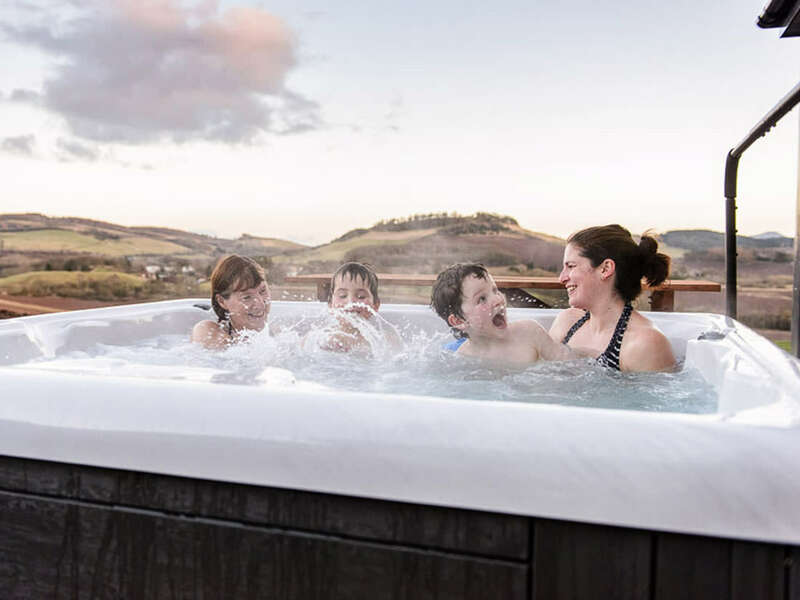 Lindores Lodge and The Glasshouse also have enclosed kids play areas overlooking breathtaking countryside views. Guests with increased accessibility requirements are also able to relax in comfort thanks to considerate design for increased needs. During the day guests enjoy the equestrian facilties on site but they also enjoy visits to St Andrews, local restaurants, cycle routes, kids adventure parks, tourist attractions and more. There is no shortage of things to do… just read the reviews on Facebook. The stables are a short walk from Lindores accommodation so guests can relax with a drink in the hot tub knowing their four legged friends are equally comfortable nearby.